Looking for a “crème de la crème” experience in the city of Taj Mahal? 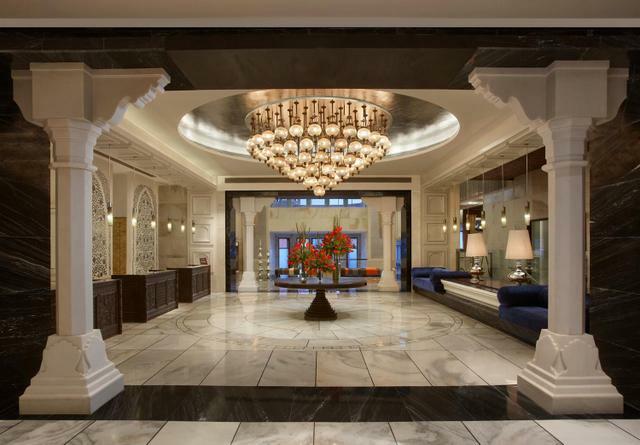 A stay at one of these best luxury hotels in Agra will ensure just that. 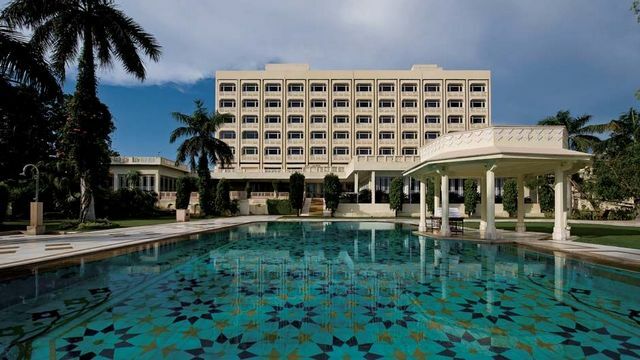 When money is not an issue, these luxury hotels in Agra are the perfect way to indulge. Whether a sumptuous bed, a spectacular view or service beyond compare – here is the no-nonsense guide to best luxury hotels in Agra to choose from based on my personal reviews of these luxury hotels. Located just 600 meters away from the magnificent Taj Mahal,is it the best way to experience Taj Mahal in Luxury. 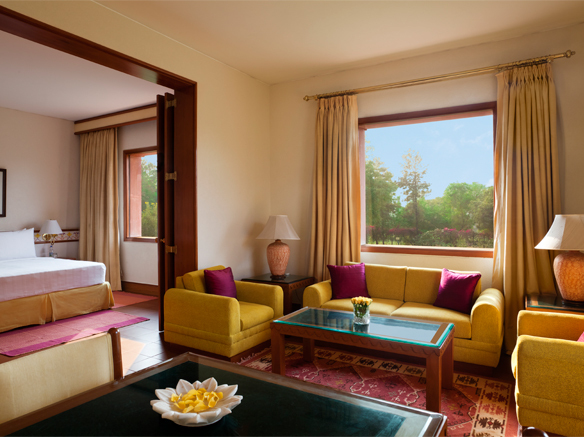 The Oberoi Amar vilas offers the best breathtaking views of the Taj Mahal in Agra from all rooms, suites, lobby, bar and lounge. With two restaurants that offer the choice of fine international cuisine and authentic flavours of India, you can simply relax with a quiet drink whilst gazing at the Taj Mahal from the bar terrace. Built in a style inspired by Moorish and Mughal architecture, the resort is a splendid display of terraced lawns, fountains, reflection pools and pavilions with rich interiors that take you back to an era of Emperors and Princes. Watching the Taj Mahal slowly appearing out of the morning mist whilst sitting on balcony and drinking coffee is an experience not to be missed. 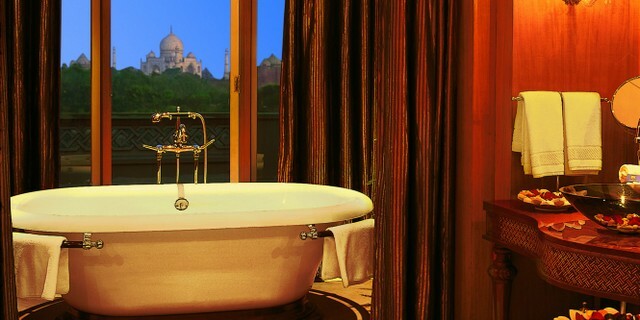 Go For: Views of Taj Mahal from every corner, a real luxurious experience, If you wish to feel like a King and Queen. This is one of the biggest hotels in Agra having 341 rooms and 5 restaurants which is spread over an unbounded 25 acres of greenery, water bodies and pergolas. 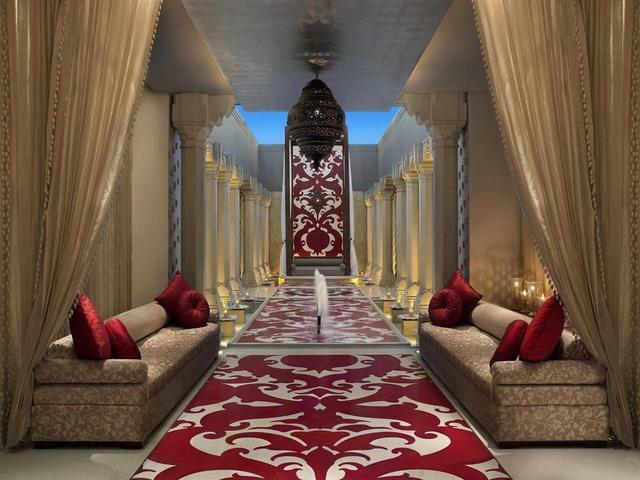 Located 2.5 Kms from The Taj Mahal on Fatehabad Road, it blends luxury with opulence for an unforgettable experience! However it can be a noisy place at times during wedding seasons in India when the late night parties go on. Also the food reviews are not up to the expectations many times and service is found to be real slow along with super long walks from lobby to your room. 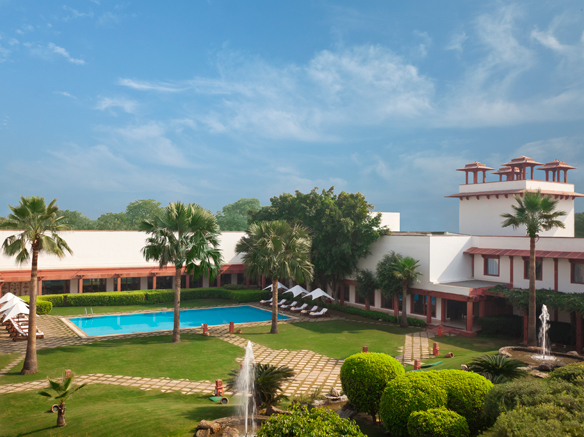 In addition to 5 restaurants, Jaypee Palace Hotel features an outdoor pool, a full-service spa, children’s club and Leisure Mall with bowling alley, pool tables, discotheque and video games. So if you can manage to eat someplace else, this hotel is good for short trips. Best to call it “The Affordable 5 Star”! Go For: Affordability, Family and Kid experience, Landscape gardens. 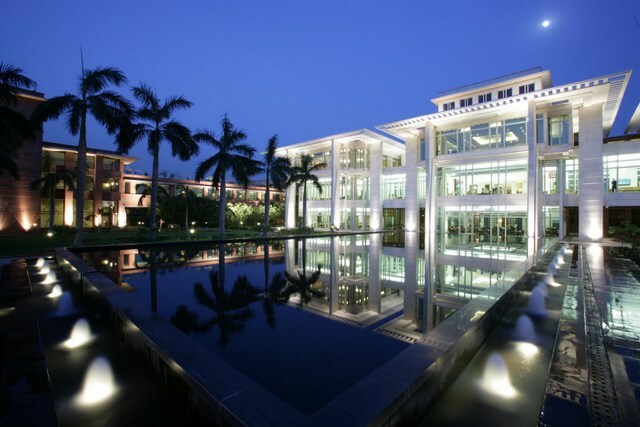 As you step into ITC Mughal Sheraton in Agra which is situated 4 km far from Taj Mahal, the Mughal Dynasty awaits you. Highly rated as one of the greatest hotel resorts in India, ITC Mughal is the only Indian hotel to receive the prestigious “Aga Khan” award for excellence in Mughal architecture. Sprawled over 35 acres of luxurious gardens, this is an old property which is in dire need of refurbishment and proper cleaning. The lobby is stunning; however the rest of the hotel is tired and worn out. The food is best here when compared to other 5 star hotels in Agra, although a bit pricey. Taj Bano restaurant offers buffets for breakfast, lunch, and dinner, Peshwari restaurant features some of the best Northwest Indian cuisines. If you find evening food here too pricey there are number of amazing restaurants just opposite to the hotel on the other side of the road. Kaya Kalp – The Royal Spa at the ITC Mughal Hotel in Agra is rated as the “World’s Best City Spa”, which is an impressive achievement. A 5 star property belonging to Taj Group of Hotels, Resorts and Palaces, The Gateway Hotel, Agra is loacated 3 kms away from Taj Mahal and set amidst 6 acres of manicured gardens with lovely views of Taj Mahal from its rooms and suites. The hotel constitutes of 100 well appointed rooms including 5 executive suites and multi cuisines dining restaurant. The hotel offers remarkable service with super helpful staff. Although a old property but good maintenance with clean and tidy rooms. Go for: Good customer service, Taj view rooms. Another old hotel in Agra, not the best that you would have seen; however, it is not bad either; just about average! This hotel is more suitable for the short business trips as nothing to stand out, and you’ll probably forget about this hotel in next 6 months. Ambiance is not bad, even though the lobby and connected area looks bit cramped. The property seems to be a 5* hotel in 1980s which needs to upgrade a lot to be at par with the present day 5* hotels. Altogether if you can’t find a room anywhere else, go for this hotel. 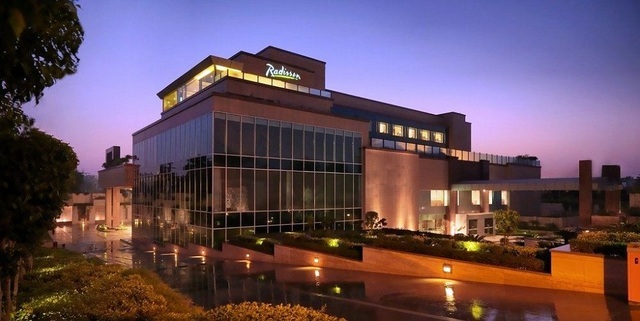 This is a lovely stylish and modern hotel belonging to the Radisson group of hotels. The building looks very new and has an opulent lobby. It is the type of place you would be proud to have a business meeting or entertain some guests with awesome breakfast. Located at the walking distance from the eastern gate of Taj Mahal (just 1 km) with 140 luxurious hotel rooms this hotel looks fresh and brimming with hope. You can the six-course meal at ‘Daawat-e-Nawab’, the hotel’s specialty restaurant or stop by The Latitude any time of day for a variety of cuisines and have a drink at Liquid Lounge, an exclusive bar available only to hotel guests. The Radisson in Agra is not just well constructed but has an amazing interior and really well mannered staff that go the extra mile to ensure you enjoy your stay here. Go For: Comfortable and clean, good service and pleasant rooms. If you wish to enjoy the best of luxury, make sure you book the room with Trident Agra. A calm oasis in busy Agra with impressive rooms, this hotel will surely make your trip memorable. Restaurant and bar service offer a wide choice of meals and drinks and the breakfast from the buffet in the morning is spectacular. The decor of rooms and public areas are tastefully decorated and recreational facilities including pool are most inviting. Creating awesome memories while taking care of guest’s needs is indeed their motto and they strive constantly towards this purpose. Go for advance purchase rate while booking which is preferential rate for early bookings 15 or more days prior to arrival. Entire stay pre-charged at time of reservation without refund. Go For: Modern elegant decor, outstanding service, clean and comfortable rooms, good pool, excellent bar and friendly hotel. Situated on over 18 acres of land, this beautiful hotel is inspired by classic Mughal architecture in all red sand stone with an incredible display of terraced lawns, fountains and ancient interiors to bring guests back in time to this historic era. However it’s a good hotel at a good location only if you do not want to eat, drink or use internet here. Average tasting expensive food which lacks variety, insanely expensive drinks and slow Wi-Fi charges (Rs. 800 / day) is what you will hear from the most guests. Just have a look of the responses by the management given on hotel review page at Trip Advisor and you will know what to do with this hotel. Disclaimer: The purpose of our review is to offer our reading audience an objective opinion, so they can make an informed decision before buying. All reviews, opinions, and everything expressed here are our own and based on our personal experience. We are not affiliated with any of the brands mentioned in this review nor do we endorse them and they do not endorse us. Anything discussed on this site is expressed as our own opinion and we reserve the right to our own opinion when discussing services, products, or anything else. Any information provided is for informational purposes only and should not be seen for any other reason unless mentioned. 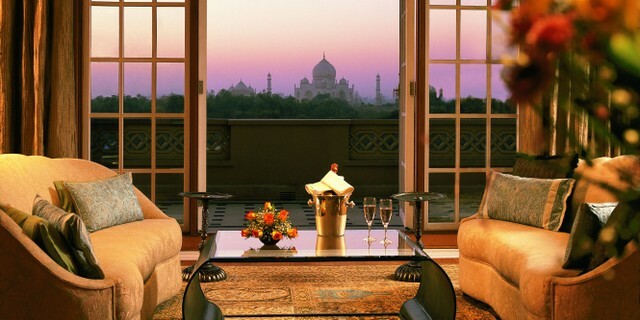 This entry was tagged Agra, Hotels, India, Luxury Holidays, Review. Bookmark the permalink.